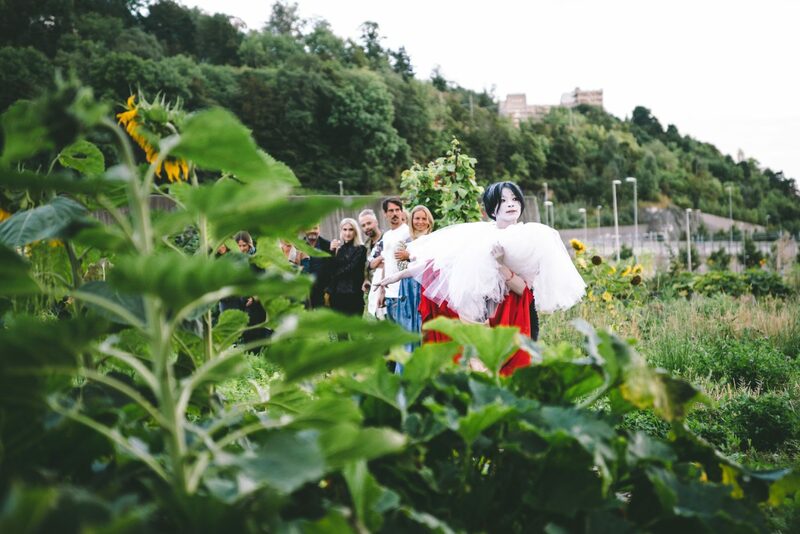 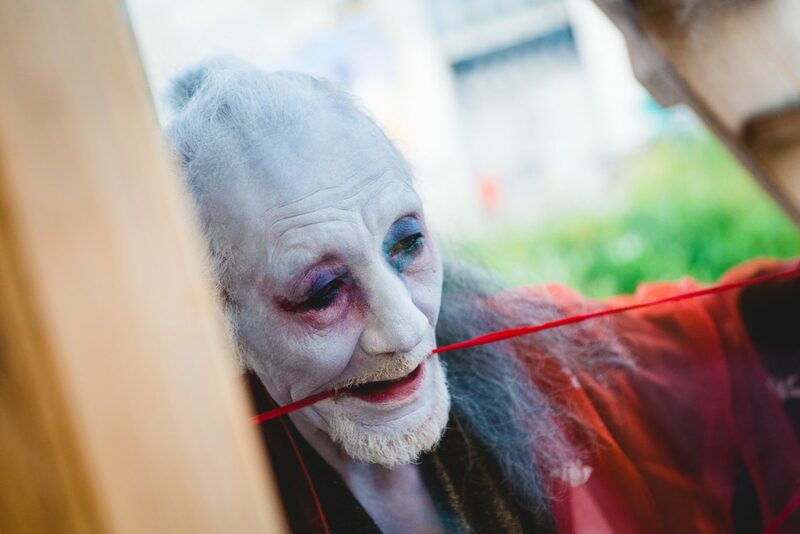 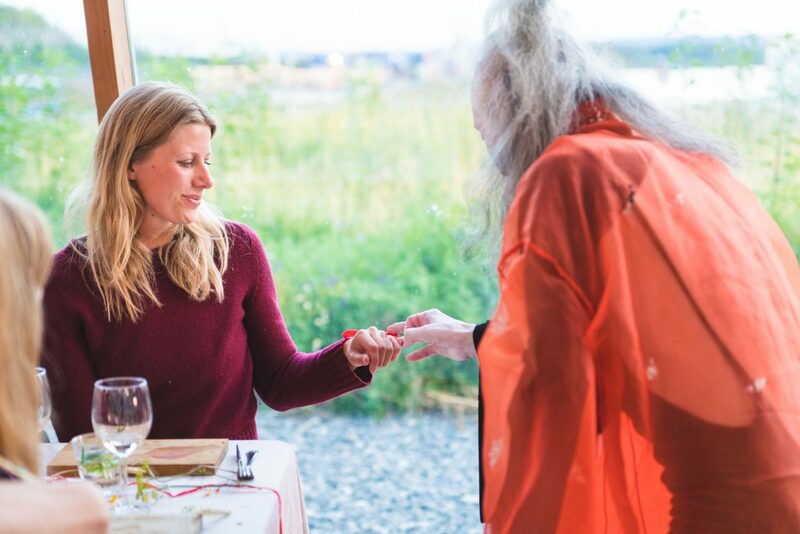 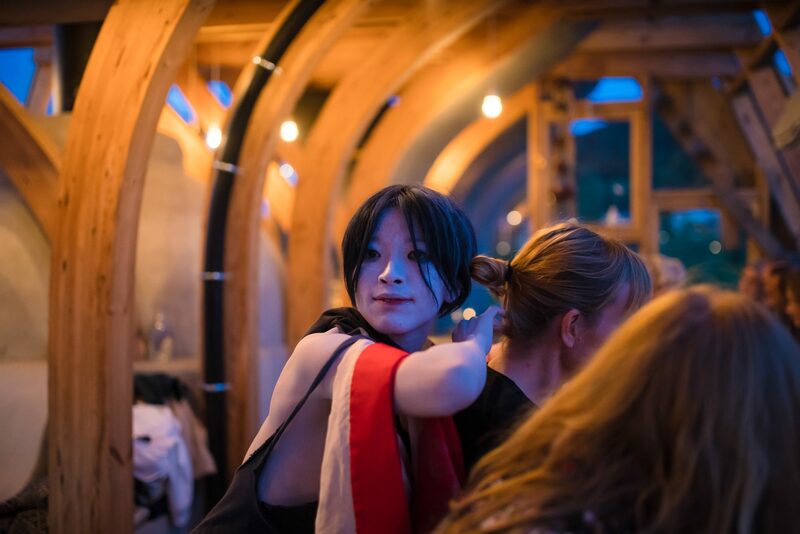 Food Studio together with chef Magnus Morveto from Food Evolution had the privilege of hosting a dinner and performance with the 76 year old butoh dancer Daisuke Yoshimoto on his last international tour. 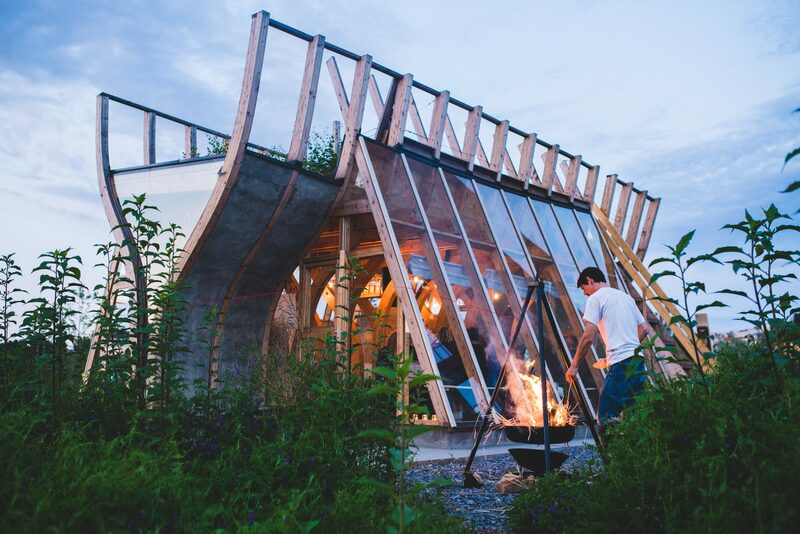 The location of “ The Last Supper” was in the bakehouse and the beautiful surroundings at Losæter. 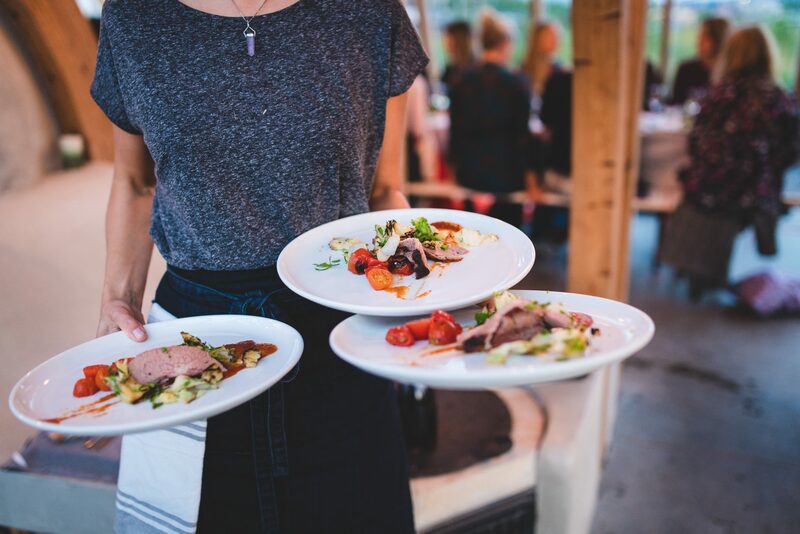 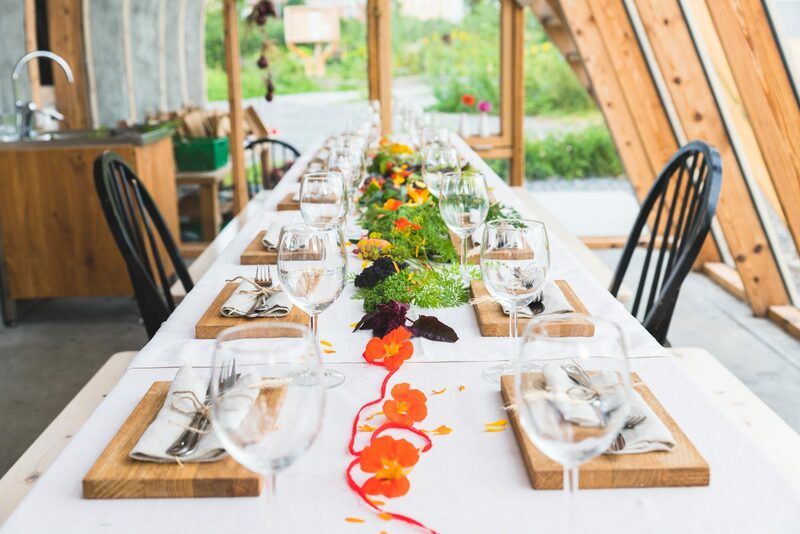 A chef is invited to compose a gourmet dinner. 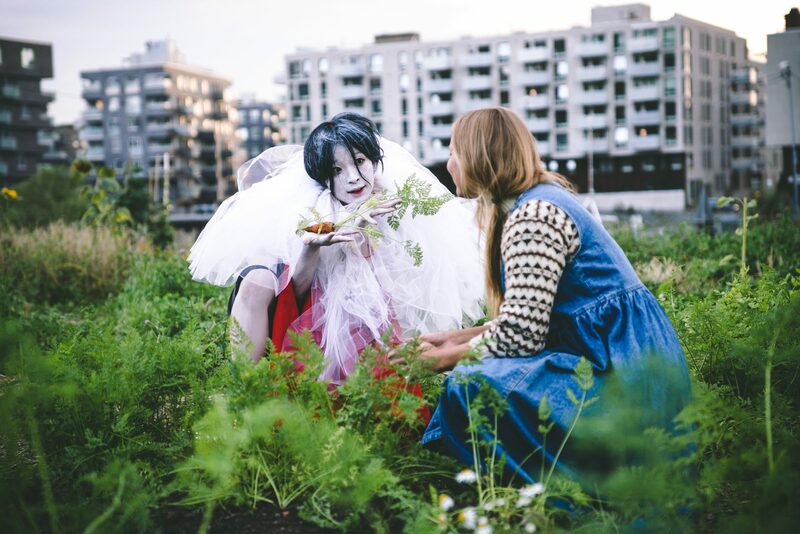 Daisuke Yoshimoto and his assistant Megu Wakasa dances “with” the food during a “seated” performance in a restaurant where audience is the guests of the specific venue. 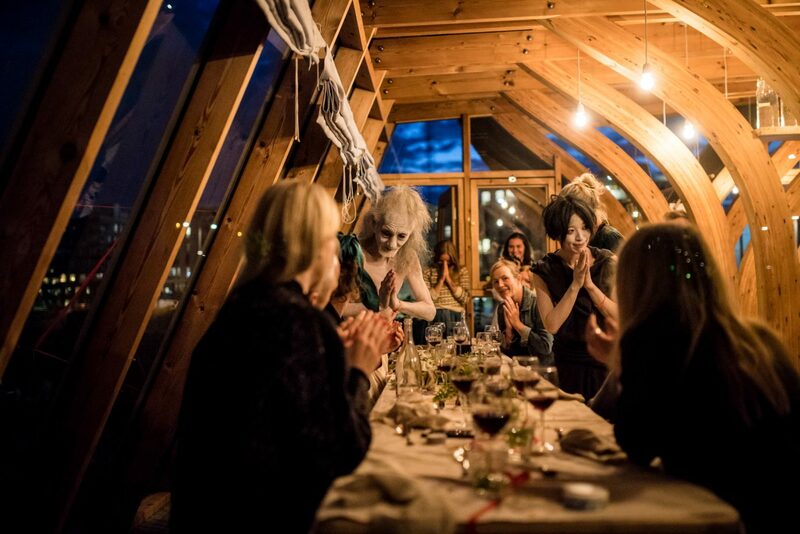 A restaurant dissolves into Leonardo da Vinci’s “Last supper” images filled with taste, smell, memory and gestures. 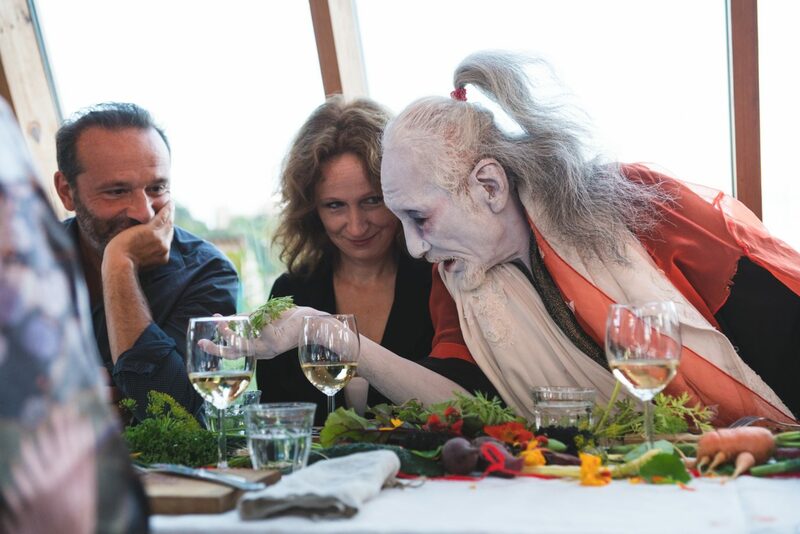 The Last Supper is a spectacle that enriches ephemeral and sensual experience of dining. 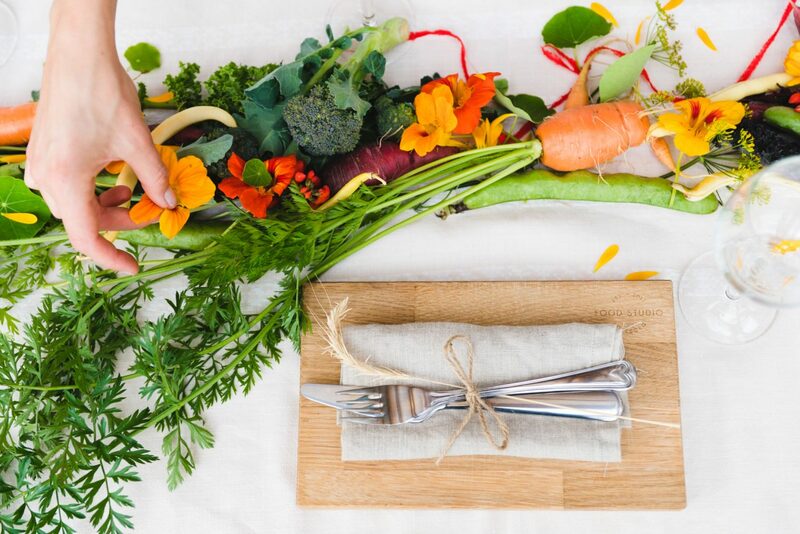 In this experimental concept eating becomes much more than a physiological need and dinning becomes much more than eating food. 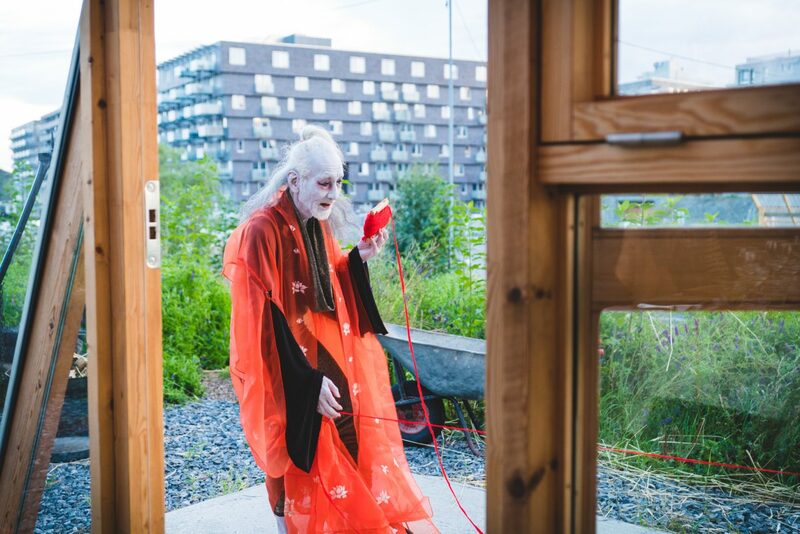 Haute cuisine is brought into life, while Daisuke celebrates textures, flavours, scents and colours, craftly combined by a chef. 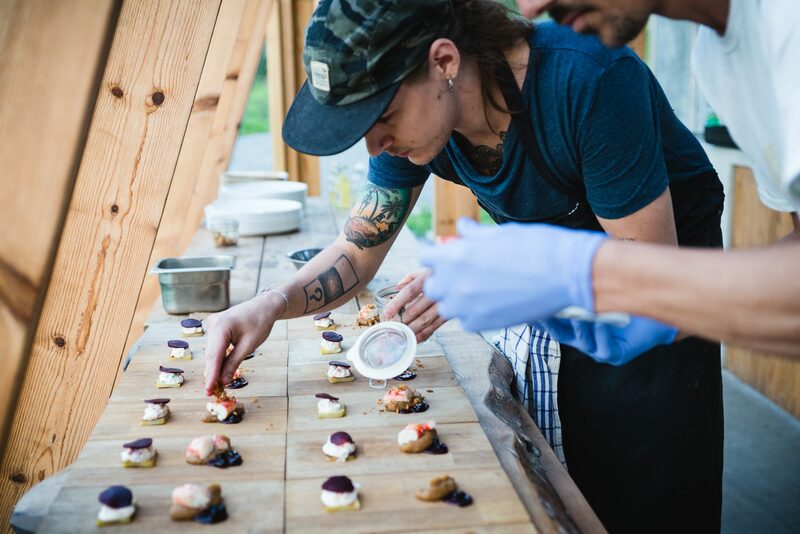 The chef and the dancer are equal creators of the event. 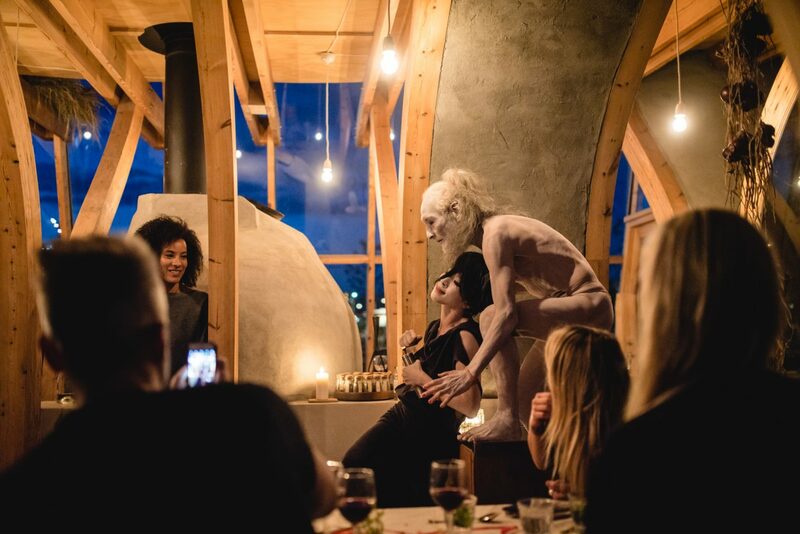 This intriguing, yet non intrusive performance is a visual and somatic food narration. 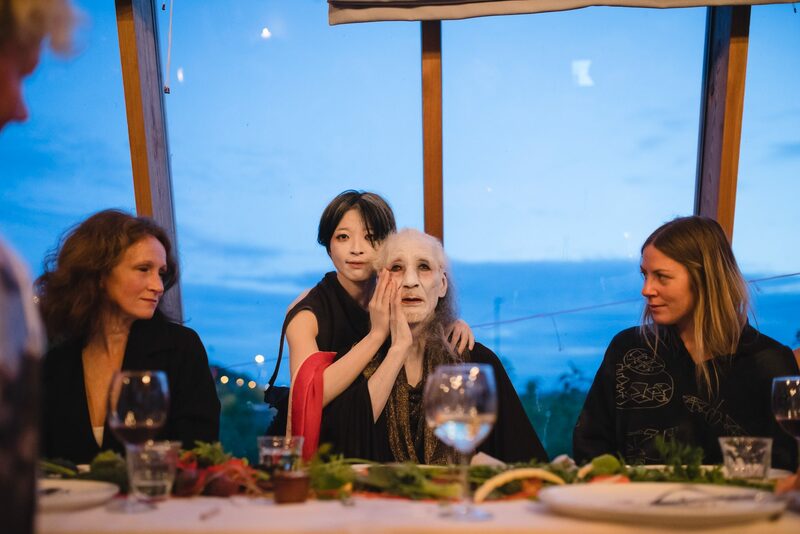 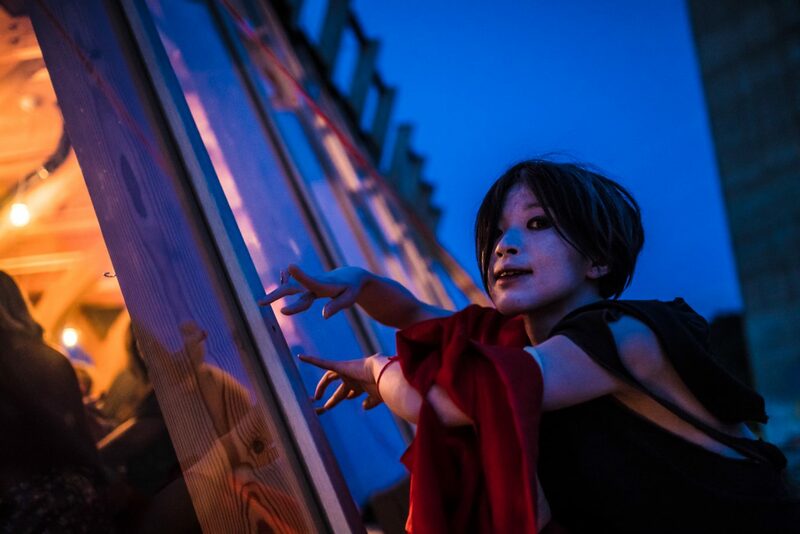 The Last Supper was part of the project 2017 Butoh Encounters: the art in-between. 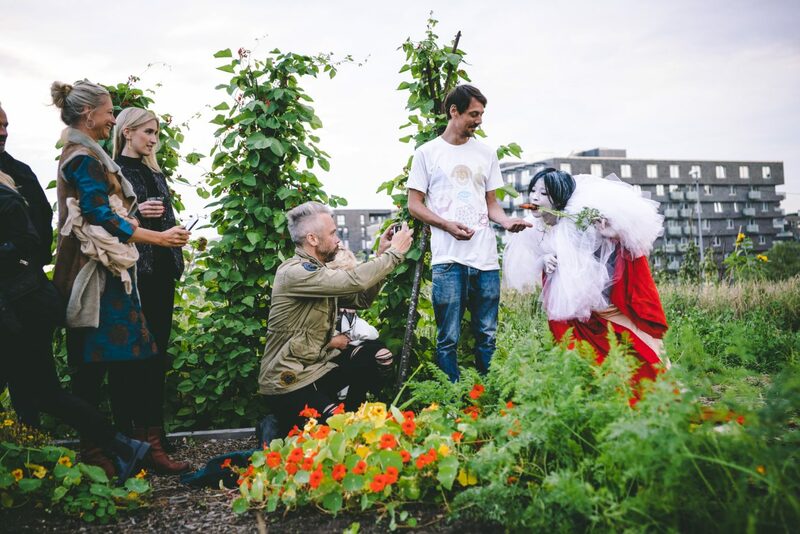 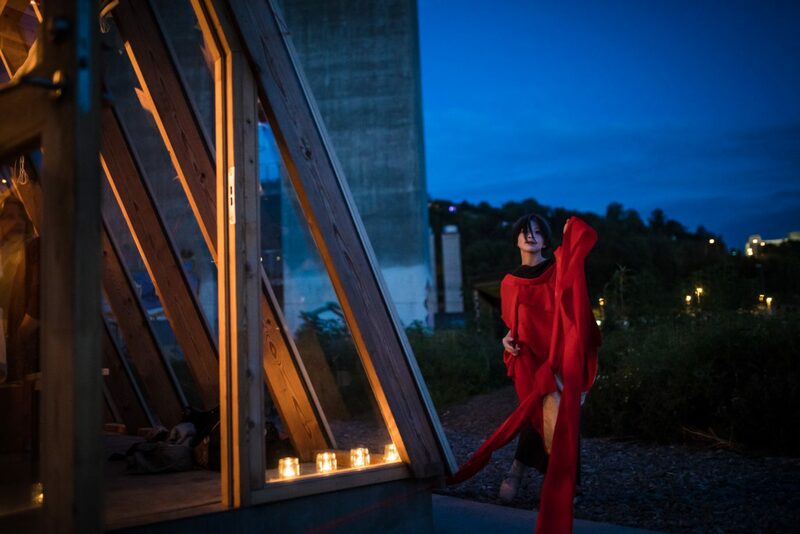 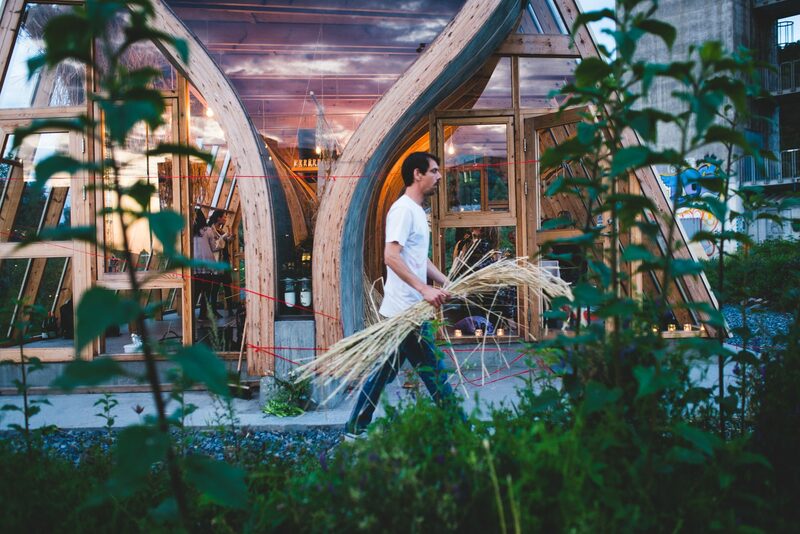 It was a collaboration between Karolina Bieszczad-Roley, Daisuke Yoshimoto and Food Studio together with chef Magnus Morveto from Food Evolution, Losæterforeninga, Fokhol gård and Tim Wendelboe.